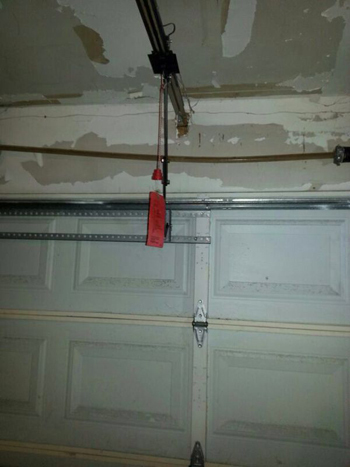 Count on us whenever you need any kind of repairs or replacements for your garage door. We replace openers, tracks, cables, springs and more. We at Garage Door Repair Coconut Creek are a residential garage door company dedicated to providing excellent repair services to homeowners with automatic and manual setups. Our technicians are highly skilled and specialize in the field of repairs to ensure that your system gets up and running as soon as possible. If you are on the lookout for a repairman that you can trust to get the job done right and in as little time as possible, give us a call and speak to one of our consultants. Our garage door repair services include a wide field of tasks, from minor fixes and replacements to complete restorations. Have one of our technicians work on your screw, chain or belt drive motors when they start to give you trouble, or when they have been damaged in an unforeseen accident, and we will get it working properly again in no time. Count on us when it comes to replacing your springs when they show signs of trouble or give way to stress. Springs are essential for the operation and safety of your setup, and so when one is damaged it should never be ignored. Aside from door springs we conduct work on all damaged parts in your system. From bent tracks and broken trolleys to snapped safety cables and even damaged door panels. We work with products from a variety of top manufacturers, and so are always able to give you what you need. If you are in need of a technician that knows how to get the job done right, give Garage Door Repair Coconut Creek a call today and find out more about the various services we have on offer. Speak to one of our consultants for advice on your repair needs, or ask for an obligation free quotation.